In 2010, Congress passed the Wall Street Reform and Consumer Protection Act, popularly known as Dodd- Frank, with the purpose of regulating behavior of banks and financial institutions, capital markets, derivatives trading, and treatment of retail customers. Since then, regulatory authorities have been gradually implementing some provisions while writing rules for others with a process that incorporates feedback from the industry and the public. One of the key components of new regulations is higher capital requirements. A larger capital base in theory makes banks better able to withstand losses during a crisis such as in 2008. Capital requirements have a couple of effects. Lifting capital requirements changes the economics of banking, for investment banks in particular. Compared with retail banks, investment banks require significantly more capital for operations — in some cases, three times as much. In Putnam’s view, with banks now much better capitalized, they are better prepared to survive an increase in credit risk, which they were unprepared for in 2008. 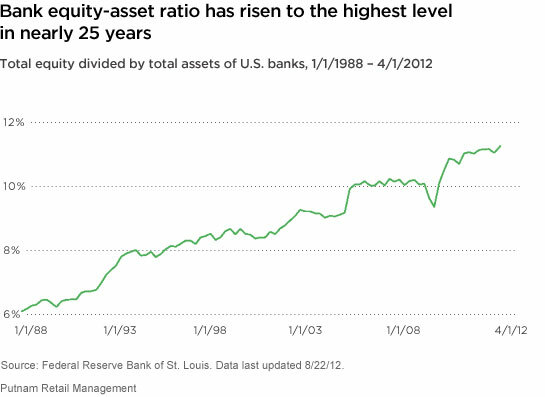 Leverage ratios at many institutions before Lehman’s collapse were much higher, at 30–50 times equity, in some cases. 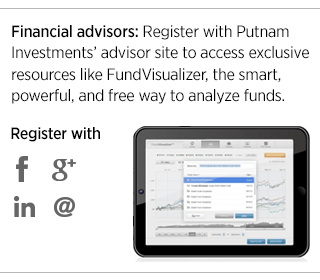 Today, these ratios are generally closer to 10–12 times equity. Also, the funding structure has changed significantly, in that even investment banks rely less on overnight lending, which can evaporate suddenly. New forms of funding, such as equity and long-term debt, are more stable. Our overall view of the financials sector is that it will offer investors a more attractive range of investments in coming years than has been the case since the housing bust began in 2005. Most banks now have — or are close to having — the capital they need to meet the new requirements.